Looking for a one of a kind firetable? 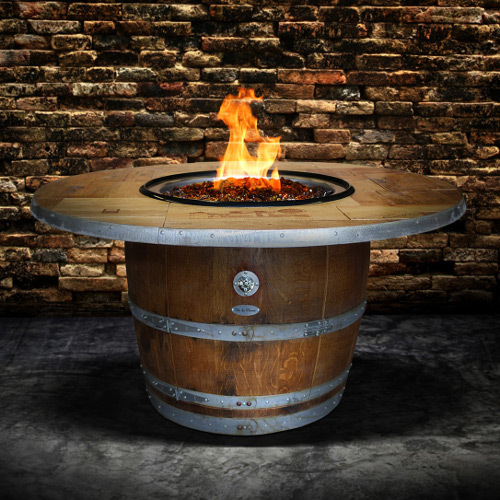 The Enthusiast Gas Firetable is a unique, never duplicated outdoor firetable. The top is made with authentic wine crates from all over the world and the base is made from recycled authentic wine barrels. A standard 20lb propane tank fits perfectly underneath the unit (tank not included) and a matching wood cover with handles is also included. Includes a vinyl weather cover. Come see it burn!